As we approach the new millenium, the moral, intellectual,and spiritual crisis of our time is visible most plainly in the sickness of the arts. The "postmodern" cultural establishment is philosophically empty and esthetically corrupt. But no one has been able to explain this decline or give a satisfying answer to the question of the proper role of the arts in our society. 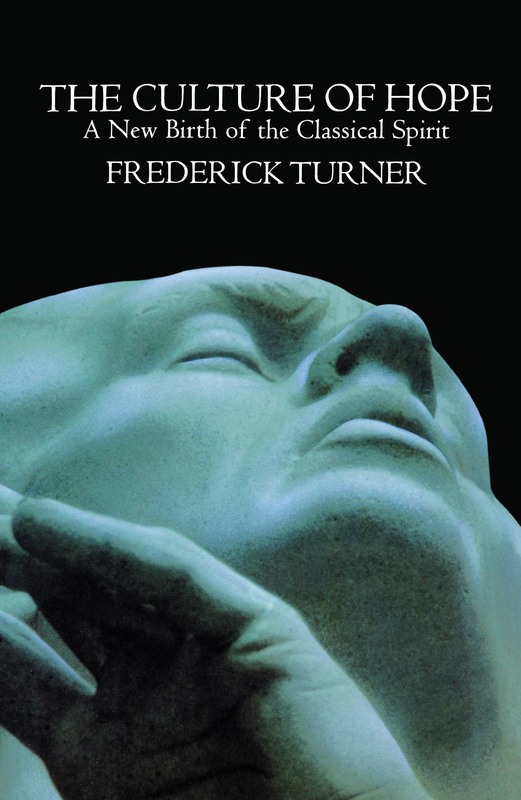 Now, in The Culture of Hope -- a manifesto for a new vision of culture that is both radical and classical -- Frederick Turner goes beyond the stale dichotomies of Left and Right to take the "third side" in the culture war: the side of art itself. Great art can never be politically correct, Turner reminds us, whether the correction comes from Right or Left, because its sources are deeper than politics. The visionary modernists (Picasso, Joyce, Stravinsky) understood this, but their successors today, as well as their conservative opponents, have forgotten. Turner sharply indicts the bankrupt tribe of venal mediocrities who now infest the arts, citing their naive rejection of morality, their ignorant denial of scientific truth, and their lazy dismissal of the Western cultural heritage. On the other hand, conservatives who call for a return to traditional values seek a socially "safe" vision of art that has never existed and never can. In the past, the arts have flowered when they drew their inspiration from new scientific visions of the cosmos. Thus Turner argues that the revolution in cosmology that is occurring today in the frontier fields of scientific thought will powerfully invigorate the artists of the future. A new esthetic synthesis arising from the unexpected convergence of religion, art, and science will restore a hopeful vision of the cosmos as intelligent, creative, and self-ordering and provide the missing ground for the recovery of classical values in the arts, such as beauty, order, harmony, and meaning. Turner points to new developments in chaos theory, neurobiology, evolution, and environmental science, among other fields, to offer us a guide to the emerging art of the "radical center" which he predicts will shape the culture of the future.